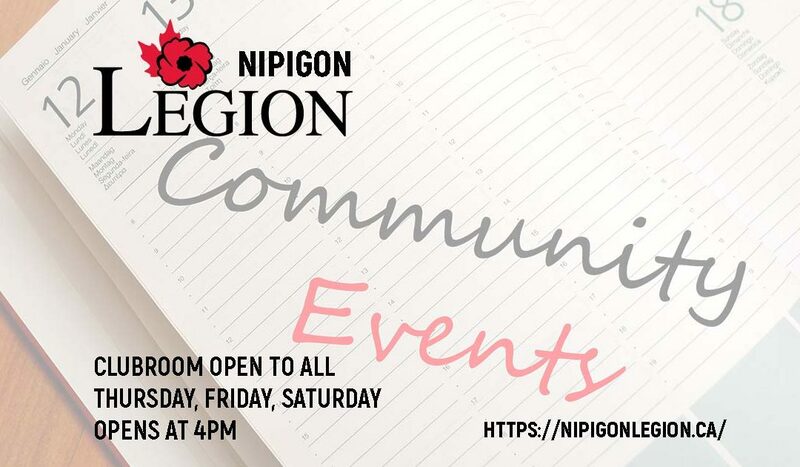 The Nipigon Elks have invited the Nipigon Rotary and Legion to join them in welcoming their National President on Monday, March 18 in the Legion Main Hall. Symposium is at 5:30 and supper is $20 per person. There will be a one basket loonie auction. The Presidents of the Elks, Rotary and Legion will share what they are doing in the community and the Elks National President will be presenting as well. Please let me (887-2895) or Dan Brown (707-3042) by telephone or e-mail of you will be attending by Sunday, March 10.